I’m having a lot of fun doing these designs! 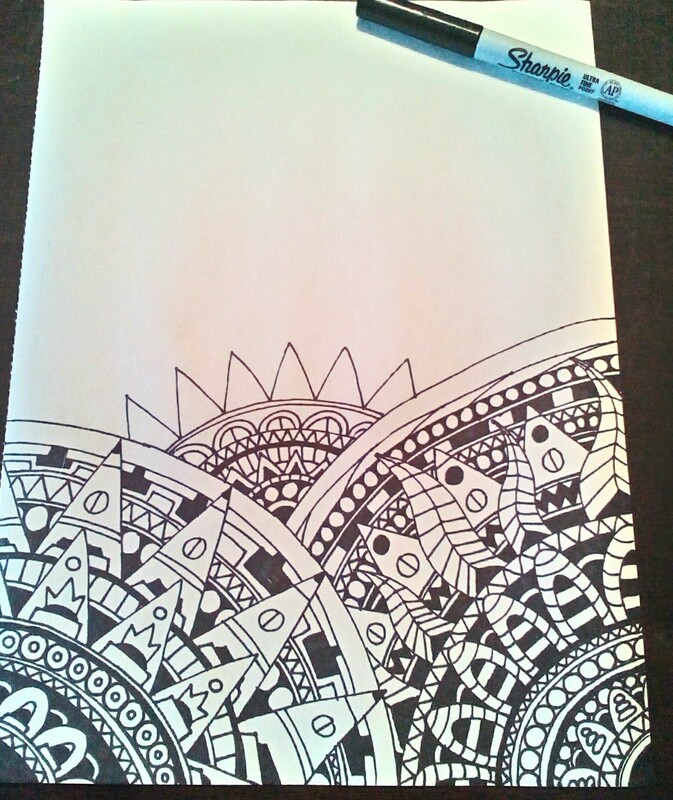 Thanks to my sister, I was able to find some awesome paper for drawing these. I used just regular computer paper for the “Zemus” design and even though it leaks through the page, it looks fantastic on the front. I also stole a few sheets to last me a few days! I’m going to keep this up for a little while and continue getting better at it. I can already tell that I’m getting into the groove of making these circular shapes. 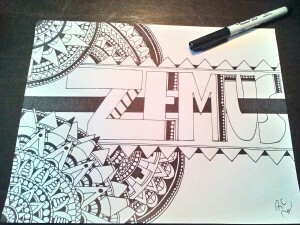 I’m definitely going to color the “Zemus” design tomorrow. Not sure exactly how that’ll turn out, but I think it’s the natural next step. 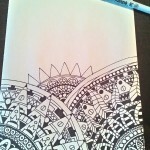 Just looking at these black hollow shapes just screams “Color me!”, like an empty coloring book. Growing up I had this “How to draw superheroes and supervillains” book and it had pages with the completed generic superheroes/villains and rather than try to draw any of these guys, which is what the book intended you to do, I would color all the finalized versions of each hero/villain. I wasn’t much into coloring books growing up (as far as I can remember) but I did love coloring those characters. I’m still undecided on whether I should add a donate button or not. It would take a bit of setting up as I would have to link it to my credit card or something. Or more likely my Paypal account. It just seems weird. I made some artwork for a friend back in October and should be getting paid for it this month, so I definitely want to continue doing that in the future. It makes more sense to me to do the work specifically for someone and then getting paid for it, rather than “Hey, give me money for whatever.” That being said, the donate button will likely go unused anyways, and if I’m completely honest with everything I do, it should be fine. I just don’t want it to hurt my credibility or be looked at negatively in any way.